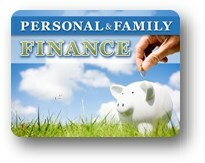 Red Comet, an accredited, self-paced, online high school launches an elective course on personal & family finance. Red Comet’s new elective course titled "Personal & Family Finance" studies finance which is part of everyday life for all individuals. Being financially responsible is necessary to succeed in life. Given the economic upheavals caused by the finance industry, even novices are beginning to pay attention and demand more regulation in the finance industry. "Red Comet’s brand new online high school course on ‘Personal & Family Finance’ is a direct result of the rising interest in the area of fiscal responsibility," said Ms. Sapna Ganeshan, President of Red Comet. How do our personal financial habits affect our financial future? How can we make smart decisions with our money in the areas of saving, spending, and investing? This course introduces students to basic financial habits such as setting financial goals, budgeting, and creating financial plans. Students learn more about topics such as taxation, financial institutions, credit, and money management. The course also addresses how occupations and educational choices can influence personal financial planning, and how individuals can protect themselves from identity theft. Since receiving its approval from the Washington State Office of Superintendent of Public Instruction, Red Comet is now acknowledged as a "Multi-District Online Course Provider", and a "Multi-District Online School Program Provider". This online program provided by Red Comet has continued to maintain the highest level of Washington State student satisfaction ratings. Red Comet’s online learning program continually keeps the students engaged while offering highly interesting topics that are easy for every student to grasp. The program courses, designed to provide a high level of motivation, have proven to be effective in that the students are completing their coursework on time.